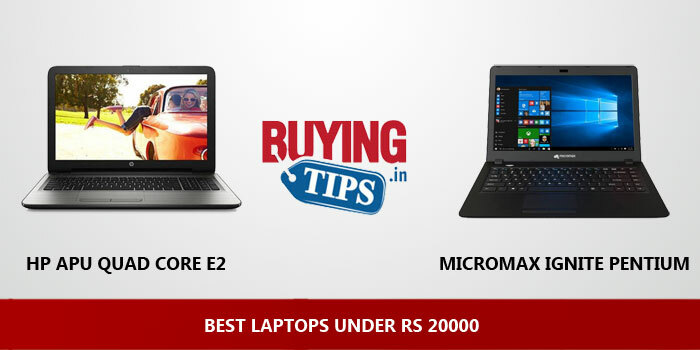 All laptops priced under 20000 rupees, come under the ‘budget’ category. Performance-wise you can’t expect too much from these laptops, but most notebooks that we have listed below, should be able to perform almost all the basic tasks. 1. Unless mentioned, all the laptops that we have listed will be able to run the latest version of Windows 8. We recommend that you either get a laptop with a minimum of 4GB of RAM (memory) or if it comes with 2GB, upgrading it to 4GB after your purchase would improve the performance quite significantly. 2. Almost all laptops below 20k will allow you to browse the internet, run office applications, play low-end games and also support video / music playback. Do note that multi-tasking i.e running multiple applications or opening too many new tabs in your browser will slow down your laptop. If you need better performance and multitasking, increase your budget and buy better laptops! 3. All the ‘Under 20k laptops’ come with integrated graphics, which also means that you won’t be able to play high-end games or do video editing. We could run Adobe Photoshop and do some basic image editing without any issues. 5. If you purchase a laptop with Windows 8, it can be upgraded to Windows 10 for free! We recommend these laptops for Students and Office work. Popular applications that should run smoothly on all the laptops are Microsoft Office (includes Word, Excel, Powerpoint), Google Chrome, Mozilla Firefox, Adobe Photoshop, VLC Player etc. If you have any questions, please feel free to ask them in the comments section below. RAM: Comes with 2 slots which has 4GB RAM installed in it and is more than sufficient for daily use. It can be upgraded to 8GB RAM. USB: Comes with 3 Ports 2 x USB 2.0, 1 x USB 3.0 which is a huge advantage. Keyboard: The keyboard is well spaced and has a full number pad. It’s comfortable to use for long hours. Battery: The laptop comes with 4 Cell battery and lasts for more than 5 hours. Graphics: Comes with AMD RADEON R2 graphics which is good for gaming. Games like Crysis 3, Battlefield, Dota 2 Reborn, Need for speed Run, Call of Duty MW3 can be played smoothly without any lag. Light weight (2.19 kgs) and portable design! Speakers : Good speakers, the sound is loud enough. Operating System: Comes with DOS pre- installed, it’s good for browsing and daily use but other than that you cannot use it for office use, You will have to install Windows 10. Touchpad is not that smooth and responsive. Display: The 14 inch display with 1366 x 768 pixel looks crisp and clear with good viewing angles. Design: The laptop looks very stylish and slim, it weighs only 1.4 kgs. 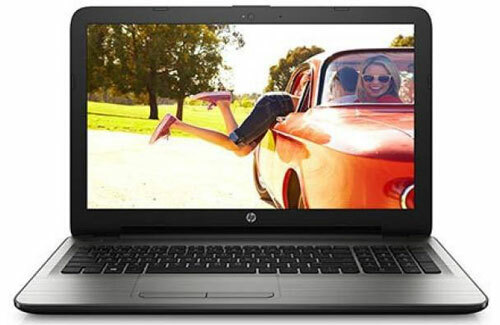 It is a big advantage for those who are looking for a slim laptop with all the necessities. Operating system: Runs on windows 10 which a great deal for Rs 19000 laptop, can be used for office purpose. Performance : It runs on Intel pentium quad core processor with 4GB RAM, performance wise this laptop can multitask easily without any lag. Graphics: Comes with integrated intel graphics that can play low end to mid end games, not meant for heaving gaming. Storage : 1 TB storage is more than enough to store files, most of the laptops at this range come with only 500 GB storage. USB: Comes with two 3.0 version ports which is good. The only downside about this is that it is placed on the left side, might be difficult for those who are using mouse. Keyboard: The keyboard can be operated smoothly. 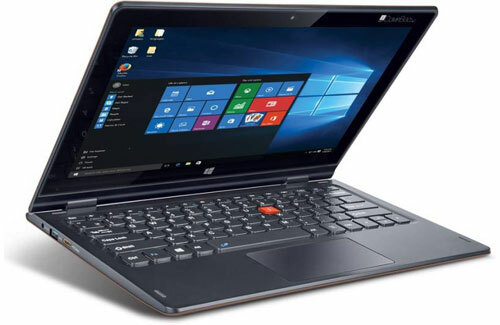 At Rs 19000 it is a good value for money laptop. It is not meant for gaming, if you are looking for a laptop for gaming. This is not the one. The laptop overheats after a while. Better to use a cooling fan while working on it. Doesn’t support HDMI or VGA port. Display: 15.6 inch huge display with 1366 x 768 pixels resolution offers good picture quality. Build Quality: The laptop is a plastic build and due to it’s hard texture it makes it easy to hold. Performance: The Intel Pentium Dual core at 1.5 GHz combined with 4GB RAM gives enough speed and power to accomplish the more common tasks like net browsing and word processing. Storage: 500 GB is more than sufficient to store files. Battery: The 4 cell battery offers upto 4-5 hours of battery life. Speakers: The speakers are loud enough to listen to music or watching movies. Has Ethernet port which is an advantage for few who do not have a Wifi connection. Display: 11.6 inch display with 1366 x 768 pixels resolution offers good picture quality. Build Quality: This stylish looking laptop is very light to hold and feels premium. Performance: The Intel x5-Z8300 Quad core processor at 1.44 GHz combined with 2GB RAM gives enough speed and power to accomplish the more common tasks like net browsing and word processing. Storage: 32 GB eMMC flash storage is more than sufficient for day to day task. Keyboard and touchpad: The buttons are well placed and very smooth to use.The touchpad is actually good for the price, very responsive and works with gesture controls. Battery: The 3 cell battery offers upto 4-5 hours of battery life. Doesn’t come with CD drive. Multi functional: This laptop can be used as a laptop or a tablet, it can flip 360 degree to form a tablet. very easy to use. Keyboard and touchpad: Very decent and smooth to operate. Speakers: The speakers are loud enough to listen to music and watch movies. Storage: 32Gb flash storage, more than sufficient for day to day work with 64Gb expandable storage. Doesn’t come with optical drive not a big deal nowadays. Hie.. I want to buy a laptop for 20k I need a laptop to run Adobs Premier for editting , or photo editing, which is the cheapest laptop to run the application smoothly. Hey! I need a laptop to gift someone for general and office use, which one would be the best under 20K? Hi sir , I urgently need a laptop. But I’m confused between micromax ignite lpq61 and hp 15 af114au. Please suggest me the better option. I’m not a serious gamer , but plays sometimes. Or should I go with hp stream 13. Thank you! Don’t be foolish go with HP laptop don’t think to buy Micromax ignite ok. Which one is better Dell Inspiron 3551 (X560139IN9) or DELL INSPIRON 15 3541 NOTEBOOK ?? im little bit confused right now….so please help me. I need a laptop to run Adobs Premier for editting , which is the cheapest laptop which can run the application smoothly. I am a programmer and I want laptop under 20K. Ubuntu is fine for me. Which one do you suggest with EMI option. 1) I’m interested in buying mini laptop at prize 20000 with 500gb hard disc with Ms application . For purpose of my project and as well as gaming , watching movies, internet use and general use also …. Plz suggest me a good laptop with best battery life …. 2) I am new to computers and laptop hence I need a laptop which felicitates my learning of the machine as well as using the internet through it. 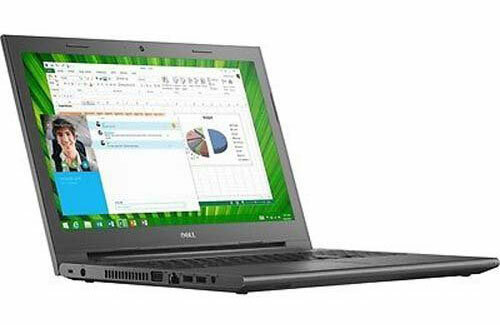 @ Som: Dell Inspiron 15 3541 Notebook is one of the best laptop under RS 20000. We recommend you to buy that. I’m interested in buying mini laptop at prize 20000 with 500gb hard disc with Ms application . For purpose of my project and as well as gaming , watching movies, internet use and general use also …. Plz suggest me a good laptop with best battery life …. I am looking for a 14inch laptop. My budget is 24k.plz suggest me a good one. I need a laptop for college with high battery life and should be light weighted. It should also not be more than 12 inch. 3 usb ports and windows 10 with MS office is a must. I want a laptop for daily usage like low or mid range gaming , multi tasking as well as MS working… which one will be the best Dell laptop under 20k????? 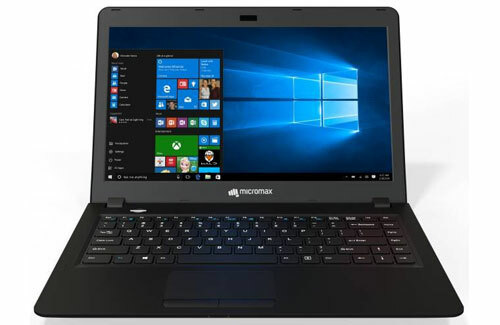 hi I want to purchase a laptop for my small online business sonic need fast processer and 1 tb hdd, 4Gb ram with dvd drive which laptop best for me . my budgut Is 20000 to 25000. I want it should be light weight . Can anybody tell me which laptop to buy if i want only performance and battery…… I don’t use high end gaming stuff.. I just need to use Android studio etc. suggest me a good lap top that has wifi and dvd/cd drive. budget Rs. 23000. I WANT A LAPTOP AROUND 21 22 THOUSAND FOR OFFICE USE. IT SHOULD HAVE GOOD PROCESSER, OS AND MEMORY. SHOULD BE WELL MORE THAN VALUE FOR MONEY. PL SUGGEST BY EARLIEST…. @ Aryan: Dell Inspiron 15 3541 Notebook will be a good choice within Rs 20000. Can you please suggest a laptop with Windows Op system with a budget anywhere between 21000 to 23000. I am a technical writer by profession and would be using MS office extensively, frame maker etc. Very nice article , After looking all products you descibed I am purchased Dell Dell Inspiron 15 3541. Thanks for Great review and detailed explanation. @ Sam: Your welcome!! Glad we could help you choose the best one. Hi, i am interested in buying a laptab for my dad for his office work. He travels a lot so looking for a lightweight, fast laptab with good build quility n battery life. Please suggest my budget is 20k but can go upto 25k. 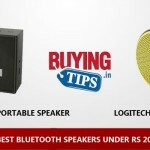 I want to buy a loptop up to 20000 rs. for general use like internet , movie, ms office application(excel powerpoint,word).what should be the best option for me……??? Dell Inspiron 15 3541 and Dell Inspiron 15 3542. Sir i need to buy a lAptop,my budget is 20000. Good in gaming even.. not excellent but it must be very good plz help..
7. Comes with AMD RADEON R4 graphics which is good for gaming. Games like Crysis 3, Battlefield, Dota 2 Reborn, Need for speed Run, Call of Duty MW3 can be played smoothly without any lag. Helllooo….i want a new laptop for my sister…she doing study of computer science..
My budget is 20000 only.give me advice. I want 2 buy laptop upto 20k with windows os which 1 should I go for?? @Harsh Gurjar, there aren’t too many powerful laptops under 20000 that come with Microsoft Windows pre-installed. Can you increase your budget a little? If you can afford to pay 22-23k, we can suggest a Windows laptop. I need to buy a laptop under 20 K, I am new to computers and laptop hence I need a laptop which felicitates my learning of the machine as well as using the internet through it. 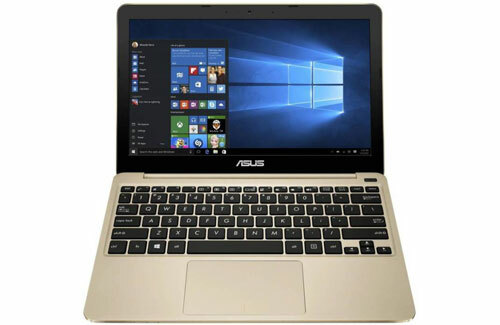 Currently i am considering buying “Asus EeeBook X205TA”, however I would appreciate if you could give me any advice for the same. Hi i want a laptop for mostly internet, movies, songs and MS office applications (word, excel, powerpoint).. which would be the best one for me to go for? Hi, I want to buy a laptop under 20000 for some ms office work and internet use. 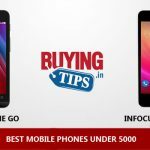 Please advice the best one…. THANKS! @ Gurimran Singh : Yes, all the Dell laptops come with Wifi. @Anup Bharti, you can’t buy a gaming laptop with a budget of Rs 20000. What sort of games are you looking to play? Casual gaming we can suggest, but you won’t be able to play mid/high-end games. I am 12th pass student i just want to learn computer. No official or business works. Good for me or not.